I thought I would write up a bit about life lately. I have been trying to be healthy once more! I did well last year when I stuck to it and actually really enjoyed it so I want to carry on the best I can. I have been trying out new things like smoothies (As I got a smoothie maker for christmas) and healthier recipes. 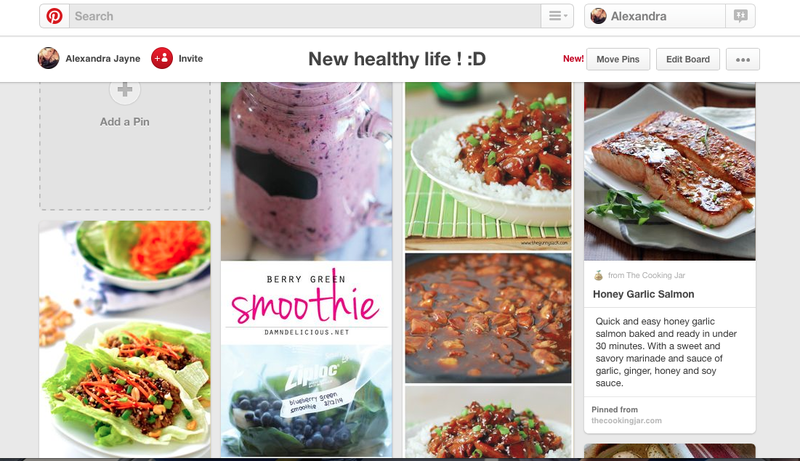 I have found Pinterest really helpful for motivation pics, food inspiration and workouts. Also following healthy accounts on Instagram. I scroll through my Instagram every morning and it defiantly motivates me to choose a healthy breakfast when you see other people posting theres. Another thing I have been enjoying is watching peoples Youtube channels who are also healthy eating ! I was thinking about all this and thought why not write up a little post now and again about new people I'm following, what I have been trying etc? Let me know what you think! So one person who I am loving is Rachel - Notes from the city. I love her Instagram and Youtube. She has been a good motivation and I love her recipes, I would recommend you check her out ! I have been downloading and trying out a few different Apps this week such as run keeper, 7 minutes and my fitness pal. All have been quiet helpful and easy to use! AND there free !! I have been walking a lot more rather than driving ! I think once you have a car the thought of walking is just unbearable but i am starting to enjoy it a bit more now :) - it's good to have some new music to listen to in your head phones ! 1. make a food shopping list - it helps you focus on what you need to buy so you won't stray to the sweetie isle. 2. Drink LOADS of water. I know its said loads but the more I drink the better I feel. 3. Make a note of everything you eat through out the day. I have found this really helpful as it stops you snacking! - you can do this on the my fitness pal app.